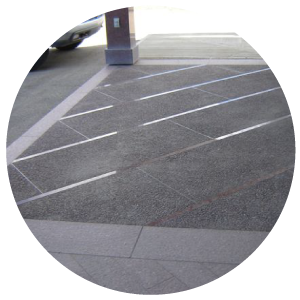 Terrazzo Flooring Leduc | Interior & Exterior Designs | Ideal Tile & Terrazzo Ltd.
After millions of years, nature has produced a beautiful material that is the envy of any high-tech production plant – natural stone. Comprised of distinct textures and characteristics that can subtly add charm and sophistication to any room, natural stone works as well indoors as in terrazzo flooring. Leduc and Edmonton area contractors and homeowners shop Ideal Tile & Terrazzo’s selection for distinctive stone at competitive prices. If you’re interested in stone, tile or terrazzo flooring, the Edmonton showroom of Ideal Tile & Terrazzo Ltd. will offer you inspiration as well as the products right for your next renovation project or new construction. We have project photos, colour trends and edge profiles for kitchens and bathrooms, fireplaces and furniture, floors and pathways and more. Talk to our staff for answers to your questions and recommendations and get samples to test at home as well. Natural stone flooring and other elements will help you add flair and beauty to any interior or exterior design, and we’re just the experts to install them for you. Give us a call today; you won’t regret it!